The question of opium eradication has gotten surprisingly “little attention in the Trump administration’s new strategy for the Afghan war.” It seems that U.S. counter-narcotics officials have come to accept a new reality “with a sense of helplessness” — that the country now supplies 85% of the world’s heroin and there’s no end to this in sight. 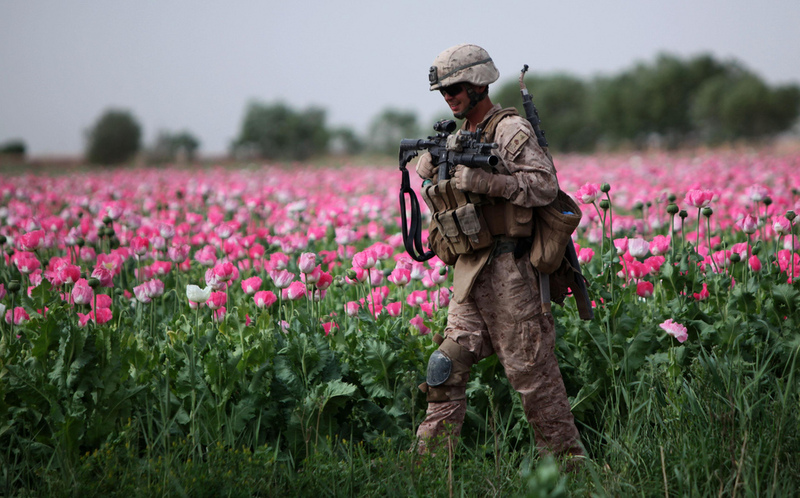 There is no way to uncouple the massive surge in Afghan’s opium production from the burgeoning crisis of opioid use in the United States. In banishing all thought of an Afghan “endgame,” has Trump just made our “national emergency” of opioid abuse a permanent one? That “crack tax” – otherwise known as the drug dealer liability statute – was passed in 2005 to allow for civil action against street drug dealers, many of whom were peddling crack.